The induction ceremony which was held at the main campus of the institution was its first. 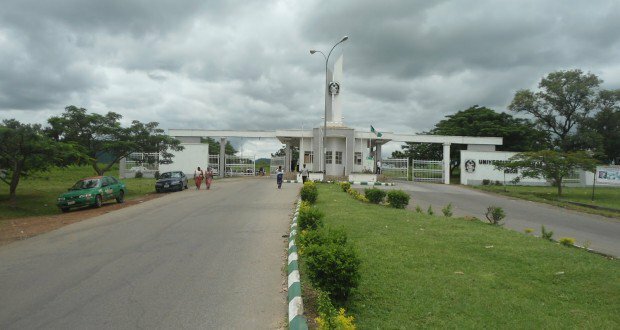 College of Health Sciences, University of Abuja (UNIAbuja), on Sunday, inducted its 18 pioneer medical doctors into the Medical and Dental Council of Nigeria (MDCN) after 12 years of studying medicine at the institution. Prof. Kareem Airede, the Provost of the college, said the pioneer inductees would be able to commence work as pre-registration House Officers on Dec. 4. He urged the doctors to possess the driving theme of competence, character, and compassion as they entered the medical profession. The provost, however, called on the university staff and students to join hands in moving the college to greater height and to ensure that students graduate at the right time. Adikwu added that the 12 years spent studying medicine in the institution should not be considered as waste and urged them to believe in themselves, shun corruption and add more value to the health sector in the country. The Guest Lecturer, Prof. Adetokunbo Lucas, advised the inductees to study hard as all that was required in the profession was hard work. According to him, hard work pays and helps, as he asks the inductees to choose their areas of specialization and study harder. Dr. Etuk Etim, one of the inductees, thanked lecturers and parents who saw them through the 12 years spent and promised to keep learning. Mrs. Promises Ugwuneji, a parent to one of the inductee doctors, said the 12 years journey was not easy, noting, however, that the courage and patience of the new doctors kept parents going. She congratulated the newly inducted doctors and the school management for the history being created. The News Agency of Nigeria (NAN) reports that the inductees are Dr. Adamu Bara, Dr. Etuk Etim, Uguneji Okechukwu, Agbo Enotse, Wandoo Abwa, Imam Abubakar, Folakemi Ayodele, Yaqub Abdulmuthalib, Oghenekevwe Tereben and Elizabeth Adesida. Others are Jude Chukwurah, Oluwatosin Bisiriyu, Uzoamaka Okoli, Enitan Bello, Anyang Inyang, Samuel Ogwu, Odiba Emmanuel and Chibuzo Ejemeka.